In February this year, Qualcomm introduced several new Snapdragon SoCs aimed at mid-range devices, including the Snapdragon 618 and 620. Now in a recent announcement, the brand has decided to rename the hexa-core Snapdragon 618 to 650, and the octa-core Snapdragon 620 to 652. As for the reason behind renaming, the company said it wants to better reflect the positioning and capabilities of these processors as compared to other SoCs in the Snapdragon 600 series. 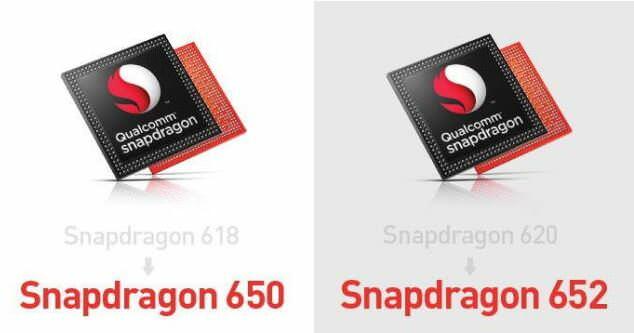 The Snapdragon 200, 400 and 600 series of chipsets from Qualcomm are widely-accepted for low-to-mid range devices, while the Snapdragon 800 series caters to the higher-end of the spectrum. The company said that it felt that the Snapdragon 618 and 620 are more significant and have a bigger advantage in their hardware as compared to the other 600 series chipsets. The Snapdragon 618 and 620, now the 650 and 652, are among the first processors to offer ARM Cortex-A72 CPU cores and Adreno 510 GPUs. The brand said that this naming is more accurate because these SoCs offer features like advanced X8 LTE modems with carrier aggregation support, 4K video capturing capabilities, Cat 7 speeds of up to 300Mbps, 2K display support, Miracast support for up to 1080p wireless displays, and integrated Qualcomm VIVE 1-stream 802.11ac. Devices powered by the renamed SoCs are expected to be available by early 2016.